Thank you for your business over the years. We have a new service product to offer for resale. It's called LightJar, www.lightjar.com. A four (4) minute video overview of LightJar is covered in this YouTube video. What the product does - LightJar is an online private media storage service that subscribers can use to save, organize, and share their videos, photos, and audio recordings. LightJar is 100% owned by Cintrex AV. We use the AWS Cloud to store the subscribers’ content and the contents’ metadata & descriptions. There is no application software to install on subscribers' computers, smartphones, or cameras. Instead, LightJar is a web application that relies upon a device’s modern browser (Chrome, Safari, Firefox, and Internet Explorer) in order to work with the LightJar servers that are resident in the AWS Cloud. You can record and upload a video from your iPhone or tablet when away from home, and then view it on your home’s laptop later in the day. Or, you can upload videos or photos from your home library and then play or show them to friends from your Android smartphone while out on the town. LightJar was made to handle large, long video files. 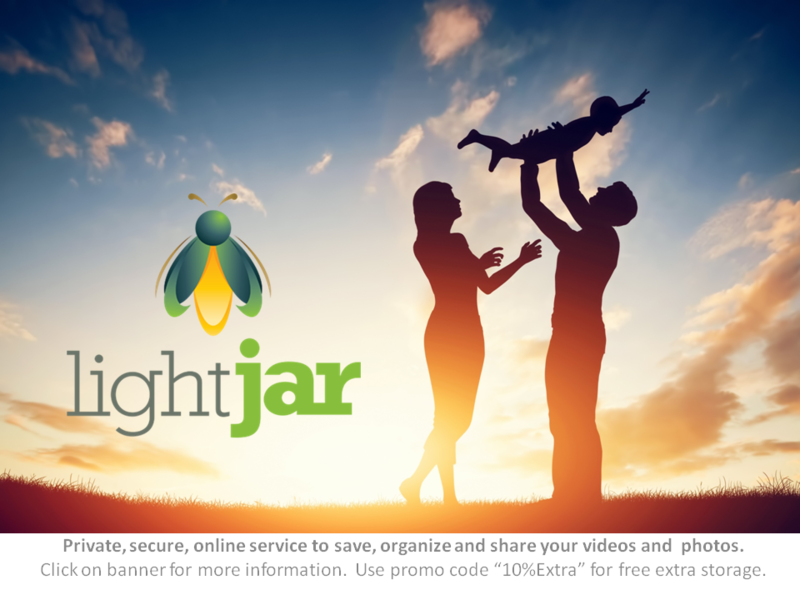 Target customers and Sweetspots - We came up with LightJar because our customers want to save their special media recordings. It's a continuation of our media conversion business, but it is useful to anyone that wants to save, organize, and share their videos; whether the video was shot on film 40 years ago, or is video taken yesterday with their cellphone. LightJar works well with photos and audio recordings as well, but the market is not as crowded for video storage services. Our sweet spots are on the low end and high end of the markets. We offer 8 different annual plans that cost less than $100/year. For example, the 100GB Active Plan, subscription fee of $65 per year, has capacity to securely store up 50,000 photos or 60 hours of video. For customers with huge appetites for storage - greater than 10TB, we offer archiving plans that are not readily found with competitors. LightJar has good organizational and search tools that will help serious archivists better manage their video and image assets, allowing them to edit descriptions and group items into multiple different collections. More competitiive - Bundle Lightjar in with your media conversion services to offer a competitive, complete solution to your customers. As an example, sell LightJar to a customer as part of your media conversion project, upload your finished files into LightJar, and let the customer immediately begin to share your work with friends and family. Stay in front of your customer - Extend the onetime sale of any of your products into an ongoing relationship. LightJar can be the hook that brings customers back. We have links in the LightJar app that can spell out your company name and take the subscribers back to your website when they need to purchase additional services from your store. As an example, a customer comes into your store to buy a photo frame; and while there, sees a LightJar poster and decides to subscribe to the service. Each time the customer logs into LightJar, they see your company store name underneath the dropdown menu below their own user name. Ongoing Annuity - whether you actively resell LightJar to your customer, or make a passive sale when the customer subscribes to LightJar after clicking on a banner on your website, we will commission your company for as long as the customer continues to use LightJar. Also, we provide you a Promo Code to give to your customers for free extra storage. A service vehicle for your company - collaborate better with customers, backup your important work, deliver finished projects in a shorter timeframe, and provide your customers another reason to use your services. It is not an automatic backup service - subscribers need to manually place items into LightJar, from their laptop, smartphone, or camera. It is not a mobile app - it works well enough with iPhones and Android phones, but we have yet to come out with a mobile app. 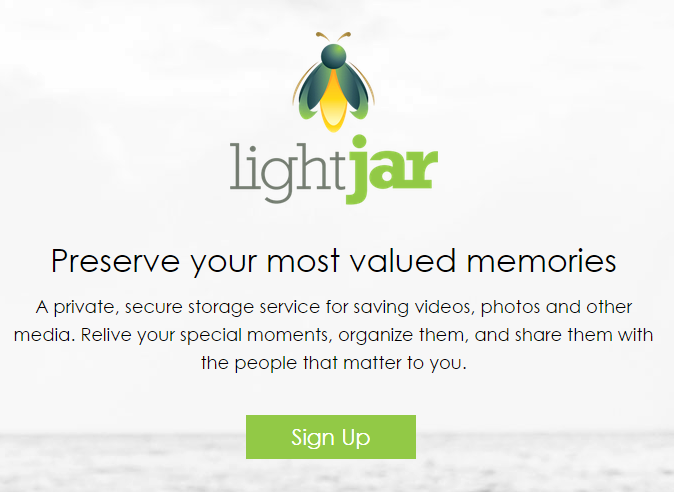 LightJar should NOT be the only place that your customers save their special memories. It is best that users of LightJar have their recorded memories stored in several places, such as in 2 different formats (DVD and Hard-drive) at home, and then in 1 offsite place such as LightJar. Next steps - visit www.lightjar.com and test the service. See if it would be good for your company's use, or if you would feel comfortable reselling the product as part of your services. The 10GB monthly plan is free for the first 30 days. Let me know if you are interested. LightJar is available for resale in our online reseller store (https://shop.cintrexav.com/login.aspx ), and you can also sign up for our affiliate program (https://lightjar.leaddyno.com/) for receiving commissions off passive sales (a visitor to your website click on the LightJar banner, subscribes to the service and you receive commission on the sale). In an active sales scenario with you bundling and reselling LightJar, the wholesale price is 85% of suggested Retail. You are welcome to sell the service at whatever price you choose. As a resale product, it is available only in annual subscription plans. When we set the service up for your customer, we will make sure that you are commissioned 15% of the renewal rate 1 year hence, and so on, for every year the customer keeps the service subscription active. In the Passive sales scenario, with a customer clicking the LightJar banner on your website, you are commissioned 15% of the subscription fee for both monthly and active plans, for as long as the customer continues to use the service. We provide you a promo code that you can pass onto to the customer for free 10% extra storage on their account. If you want LightJar for your own use, we decrease the rate by 30%. Use this opportunity to understand the service, and use it for helping your business. Customer Support & Training - LightJar Support is responsible for handling customer inquiries and trouble tickets. We have an online support center with an overview of the LightJar service, as well as, sample questions and their answers to the most frequent questions. Media Kit - We can supply banners for your website, and graphic layouts for sample brochures in your store. We can discuss placement of the messages about LightJar, where on your website or on your store's counter-top or wall. Get Started - We suggest you visit LightJar and sign up for the 10GB Monthly Plan. The first 30 days are a free trial. Judge the service, test it out, visit the support center, and determine if this is something that you might use in your own business and/or feel comfortable recommending to your customers. If you want to become an affiliate reseller of LightJar, then sign up here to get the process started, receive URL links for your website or business cards, and receive commissions when your referred customers choose Lightjar. Sign up to become an affiliate and make commission off cloud storage, or call us at 800-325-9541, or write us at support@lightar.com.